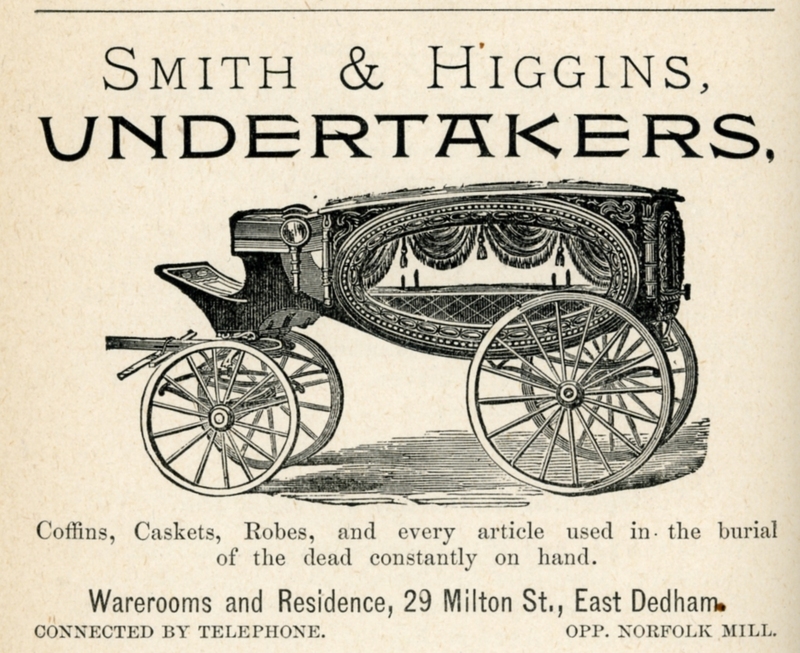 Here are a few ads from the 1889 Dedham Directory. The directory lists Dedham residents, businesses, town officers, and organizations. It also has a brief history of the town, and pages of these great ads. Wardle’s is the oldest continuous business in Dedham. It opened in 1858 as B.F. Smith’s Apothecary, and was taken over by Harry L. Wardle in 1882. Maybe the pianos are played by cows? 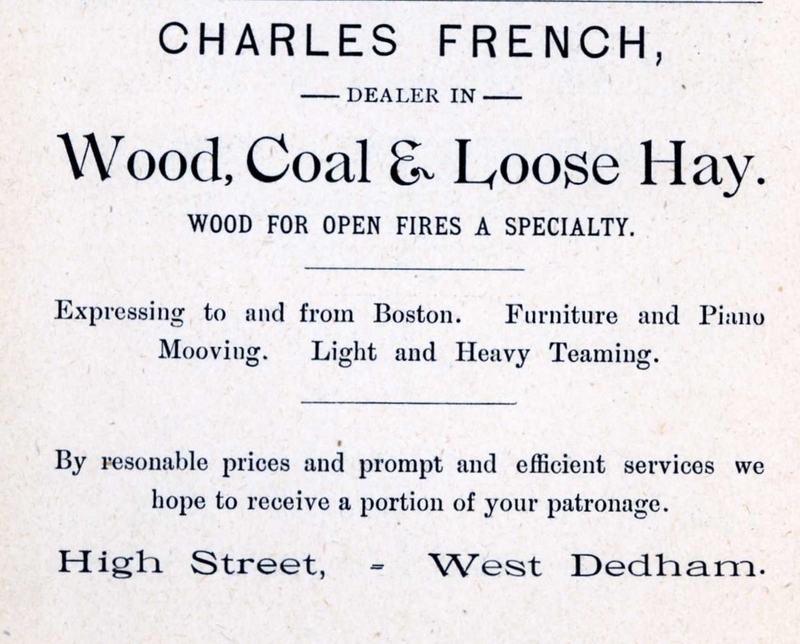 The Walley family still operates a business in Dedham, Walley Insurance on High Street. President Frank Walley III assures me that he doesn’t pay so much attention to interfering and overreaching anymore. At least not in his business. This entry was posted on August 6, 2011 at 10:46 am and is filed under History/Mystery, Lost Dedham. You can subscribe via RSS 2.0 feed to this post's comments. You can comment below, or link to this permanent URL from your own site. There is a higgins funeral home in roslindale. I wonder if it is the same family.